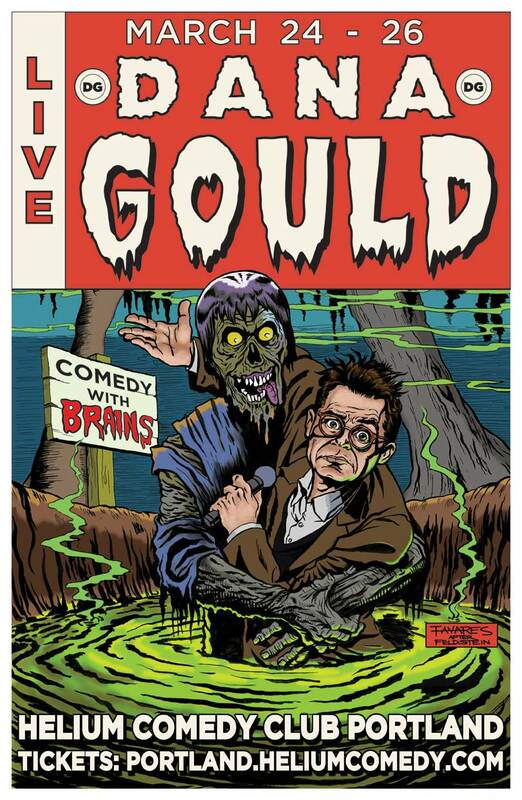 I recently had the very good fortune to do some work for one of the smartest comedians working right now, Dana Gould. He has a new stand up show that he has been performing at clubs all around the country. On March 24 through 26, he will be bringing it to the Helium Comedy club in Portland, OR. To promote this series of stand up performances, Dana has commissioned several artists to create a unique poster for each venue on the schedule. On this occasion, it was my turn. For those that don’t know Dana, in addition to being a top shelf humorist he is also know for being a tremendous geek. He has a tremendous love for all things science fiction and horror with special places in his heart reserved for the works of Ed Wood, and the “Planet of the Apes” film series. This is obviously something he and I have in common. We first met many years ago, back during my Makeup Effects days, when he came to K.N.B. EFX Group looking for like-minded folks to help bring his MTV puppet show “Super Adventure Team” to life. We bonded over Apes and Monsters and have been friends ever since. Over the years, Dana has asked me to create various pieces of personal art for him. The jobs are always fun and challenging. This time was no different. 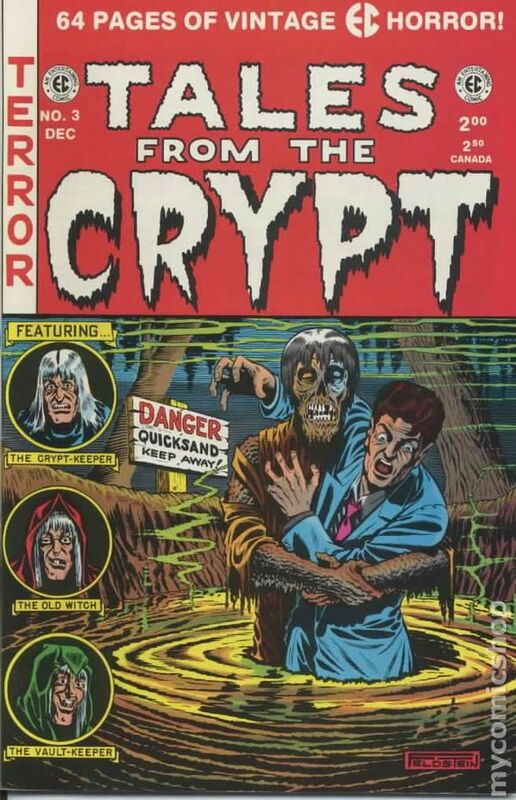 The brief for this assignment was simple; create a parody of the cover art to the legendary EC comics “Tales From The Crypt” Issue Number 24. This is the original piece. Like the other posters in the series, simplicity was the key. Even though we batted around various ideas, we decided to just stick with the close approximation of the original Feldstein art. After working on the composition, and the DG likeness, this is MY version. I am actually quite proud of this piece. In the past when I have done this kind of comic book style ink and coloring, I would get carried away with the inking details which I would then muddy up with too much digital color. This time I worked hard to restrain those tendencies and I believe it paid off. As with his other shows, I believe Dana will be having some prints made which he will sign and sell at the show this weekend. I will also put them up on my print store sometime next week should anyone be interested. I’ll just make sure it’s cool with Dana first though.